A group of terrorists calling themselves The Engineers have had enough of US military occupation all over the world and initiate a terror ultimatum called the Blacklist - a deadly countdown of escalating attacks on U.S. interests. 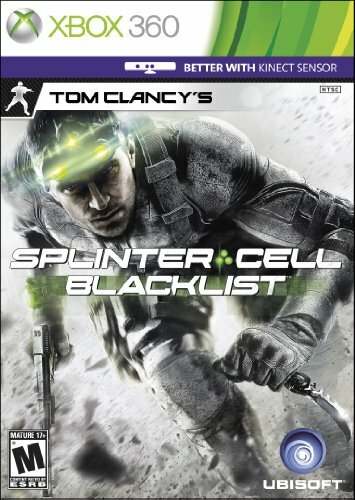 Armed with state-of-the-art technology, top-of-the-line-gadgets, deadly combat abilities and an elite team known as the 4th Echelon, Sam Fisher holds nothing back to get... See more the job done through whatever means necessary to stop the Blacklist countdown before it reaches zero. Sam is back in his tactical suit and goggles, and hes more lethal and agile than ever. Granted the freedom to do whatever it takes to stop the Blacklist, Sam flies from exotic locales to U.S. cities as he races against the clock to find out whos behind this devastating threat.